This post is part of the series FI 101. Click here to read more. So now that you’ve planned out how you’re going to achieve financial independence, why you ought to do so, and how you’re going to manage your expenses to help you get there, you’ve got a couple more core objectives to think about. The first is fairly simple. Today I’ll show you how to chart your progress in a quick, easy way, to help you stay motivated on your journey. Before we talk about that though, let me stress to you that a more thorough alternative to keeping this chart is to maintain a budget. However, I know that not all of us are wired in a way that makes keeping a budget a simple task, so this chart is probably your second-best option. And besides, making a chart is fun! Seriously. 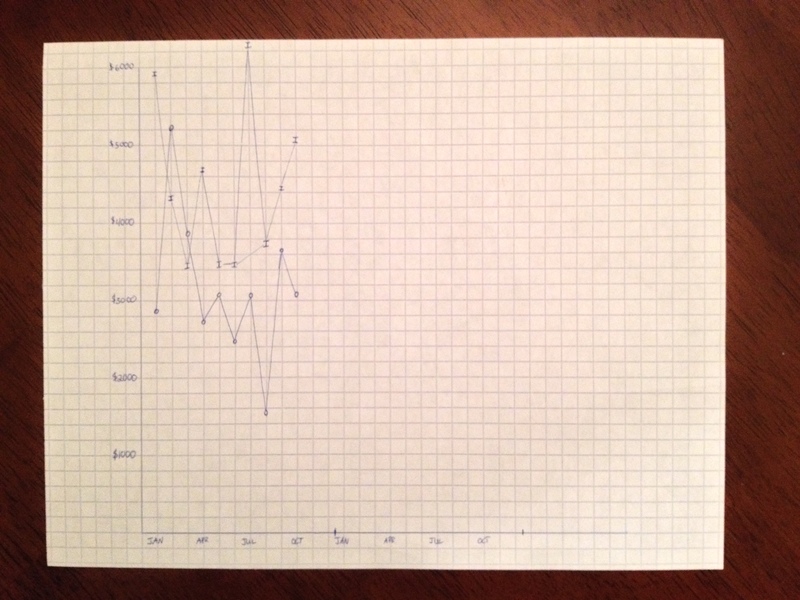 We’re going to chart progress on actual, physical graph paper. Don’t have a book of graph paper handy? Here you go. Now, the reason we want to go through this exercise is to record our monthly progress toward FI. You probably know that in order to get out of debt or save for the future you’ve got to spend less than you earn, right? Well, that’s what this chart boils down to! All we’re doing is showing our progress visually, to help us see how we’re doing and to remind us why we’re making lifestyle changes and spending habit changes. Here’s a photo of mine for the year so far. Click to enlarge, instructions are below! As you can see from my chart, January was a good month, where the I (money in) well above the O (money out) data points. Then February and March weren’t so good, we had a privacy fence installed and it wasn’t cheap. But since then we’ve brought in substantially more each month than we’ve spent. 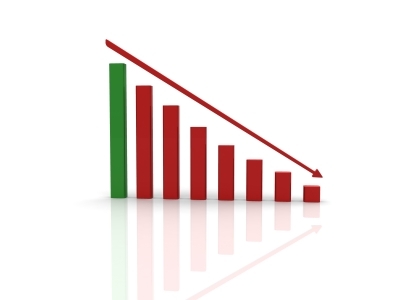 The idea here is to create, then widen the channel between your income and expense trend lines. The more you can do that, the less you’ll require in order to maintain that level through FI. And the wider that channel between the lines gets, the sooner your FI day will arrive. Step 1: On your graph paper, draw the X and Y axis lines on the left side and across the bottom. It’s not too important how long the lines are, just make them most of the page’s size. Step 2: Label the left edge’s axis with dollar amounts that provide a scale of your salary, from zero all the way up to the best month you’ve ever had. Step 3: Label the bottom edge’s axis with months of the year. I labeled mine every 3 months for simplicity, and because my graph paper isn’t very large. Step 4: Start plotting! You’ll want to have 2 different symbols/letters/whatever to keep Income and Expense separate, but each month take a minute and figure out how you did the month prior. If you don’t keep a budget each month, you can estimate based on your bank account statement online. You’ll be surprised at how your awareness changes your habits. Just like counting calories, seeing your income and expenses on a piece of paper (and the trends) will inspire you to greatness! Hang it on your refrigerator, your bathroom mirror, wherever you’ll see it once or twice a day as you go about your routine. I hope you’ll give this chart a try for yourself, it really does help you keep your head in the game. But everyone motivates themselves differently. How do you stay on top of your finances and keep the numbers in front of you? Please share in the comments below!